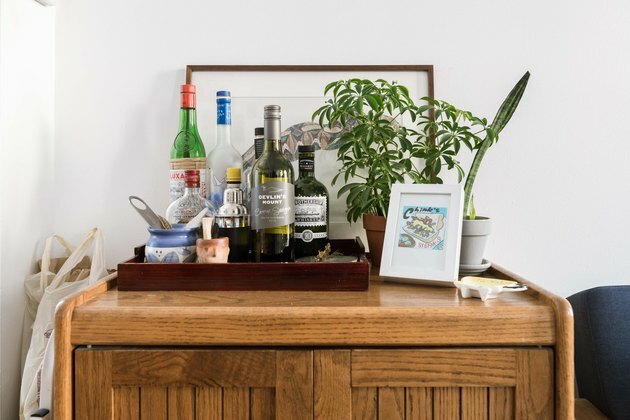 Light matters — especially when you live with more than 60 houseplants. 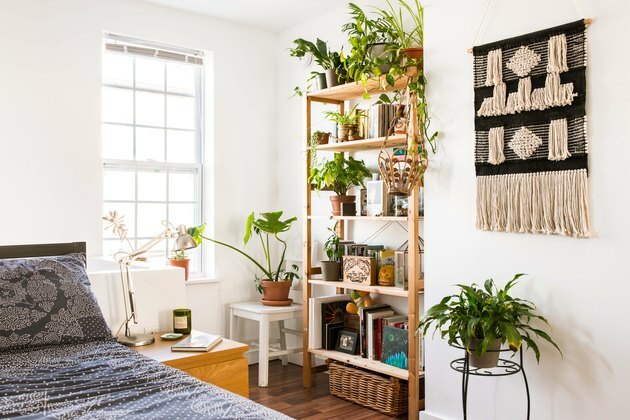 So when Susannah Ayscue — who documents her beloved plants on Instagram (@wildindoors) — moved into her sunny, bi-level Bella Vista apartment, the impact was almost immediate. 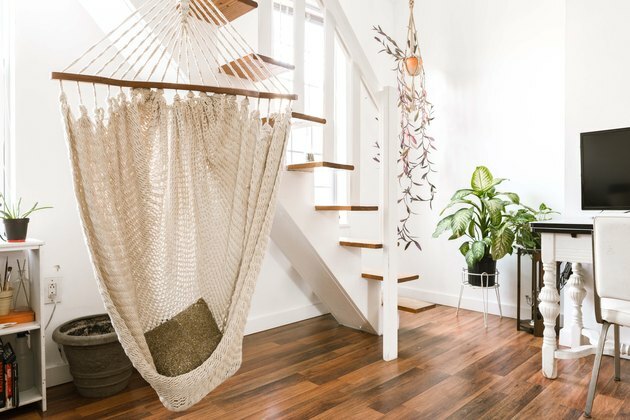 "A spider plant, orchid, and parlour palm that I had for quite a while all bloomed immediately after moving in," she says. The light is just one of the qualities that drew Ayscue to her new home, which she's called home since May 2017. There's the neighborhood, with its second-hand shops and women-owned independent boutiques. The walkable, community feel. And the apartment itself, with all of its quirks. "I could never live in a newly built, modern style unit," Ayscue says. 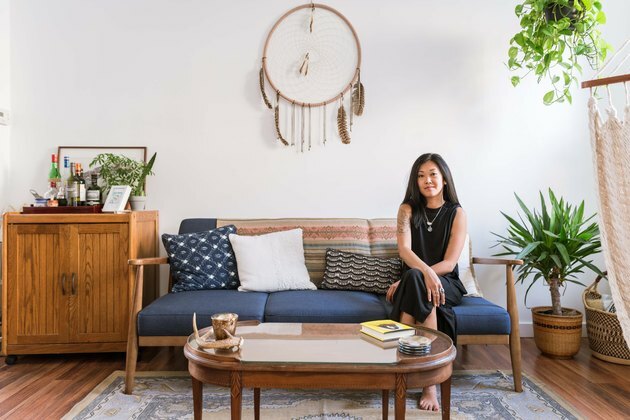 Though her design ideals lean minimalist — she shares, "the struggle is real but somehow I've found a really good balance" — the home is made cozy with vintage treasures and hand-me-downs. Ayscue frequents thrift shops in Philadelphia, like Jinxed and Retrospect, and scours Facebook groups, like her neighborhood Buy Nothing Group and Internet Yard Sale Philadelphia. And several pieces are from family and friends, too — gifted or made. The look is casual, but thoroughly curated. Taken as a whole, the approach gives a one-of-a-kind, deeply personal feel. 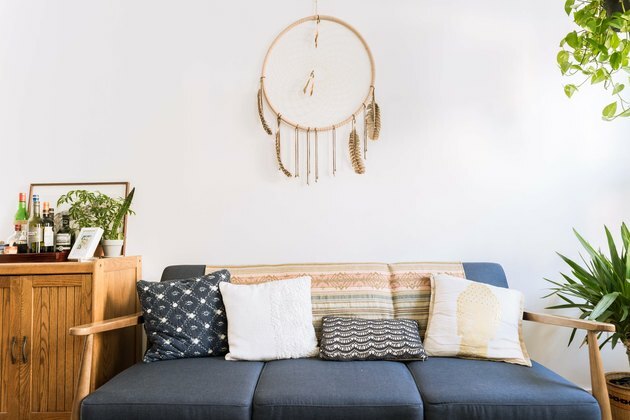 "I love that I can look around my apartment and see so many things that not only bring me joy visually but remind me of my friends and family." 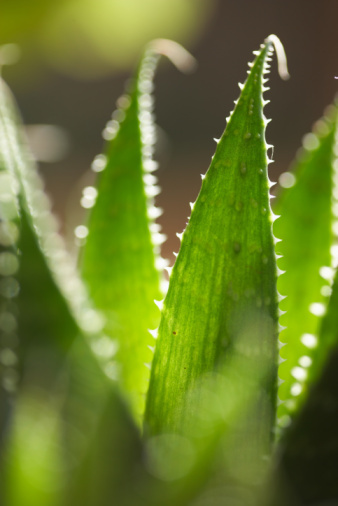 "The first thing I see when I open my eyes in the morning are a few of my plants under the skylight and the sun beaming through," Ayscue tells us. "It really sets the tone for the day." Indeed, the bedroom was a primary draw for her. 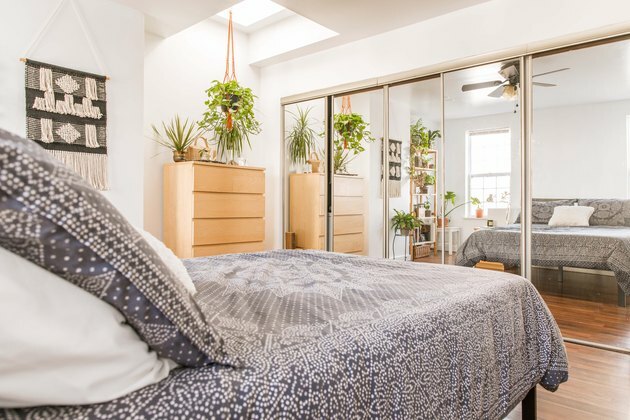 "I had been living in a small, dingy studio and was super psyched about having an actual, separate bedroom again." 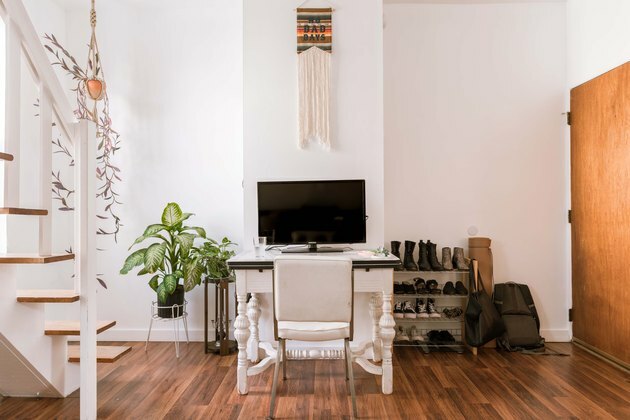 The apartment is filled with more than 60 houseplants. 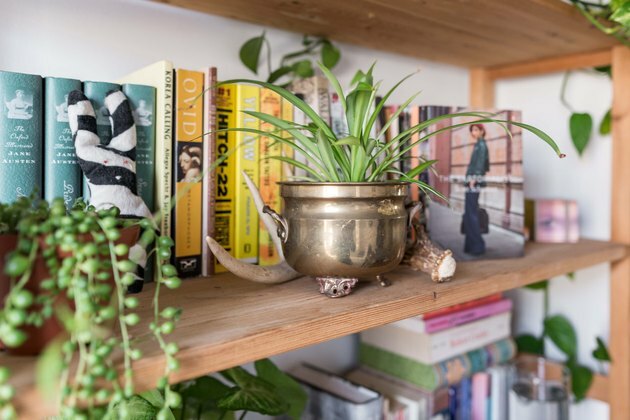 "I obsessively buy brass pots for my plants," says Ayscue. The bi-level apartment has a loft-like feel. 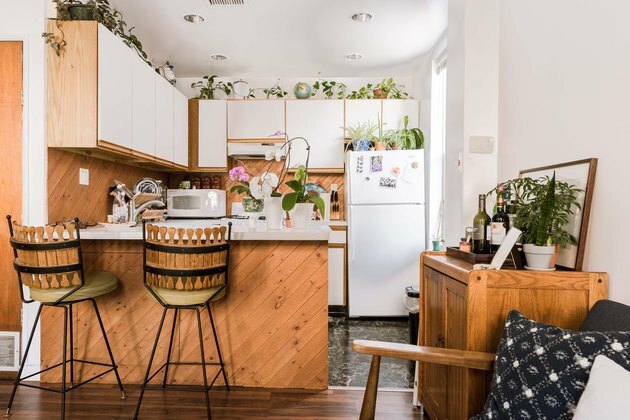 Although the kitchen has not been updated, Ayscue's landlord added diagonal wood to the backsplash and counter to make it feel more modern. Many of the accessories throughout have personal stories. "The huge dreamcatcher was my former stepmother's," notes Ayscue. The hanging planter with the purple heart is from Ayscue's boyfriend, and was purchased at Jinxed, a favorite second-hand store. The wall hanging above the TV was handmade by a friend, Tran Nguyen, founder of Philadelphia Sewing & Company. 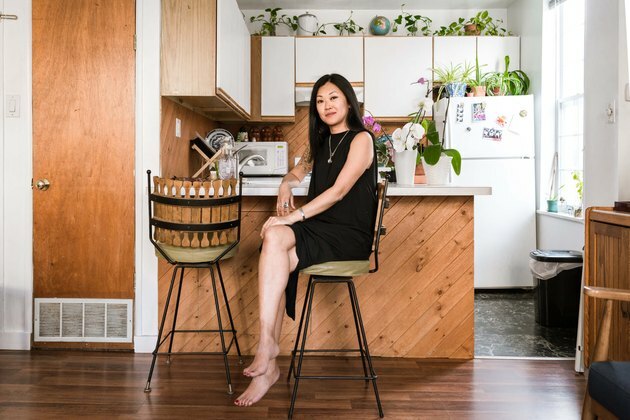 Plants adorn almost every surface in her jungalow-style home. According to Ayscue, "My houseplants are absolutely thriving." "They say Cancers are homebodies," says Ayscue. "Their heart and soul is in their home, as is mine."